For a while I had this long-standing joke that when Black babies are born they are smacked to encourage their first cry of life, swathed, and placed on the bosom of the person who brought them into this world, and then they’re handed a copy of The Black Poets, edited by Dudley Randall. The Black Poets was the quintessential book I’d see on the shelves of my fellow Black writer friends. If you were into literature, especially poetry, as an African American, then you had to have this book. It verified your commitment to the cause and for the culture. If you don’t have it, why not? How will you learn about those who came before us? Where we’re going and where we’ve been? No shade, but I have my copy. Whether I got the book soon after coming into the world or not, I cannot say. There are other seminal anthologies used for study and inspiration, such as The Scribner Anthology of Contemporary Short Fiction or E. Lynn Harris and Marita Golden’s Gumbo, a celebration of African American voices. 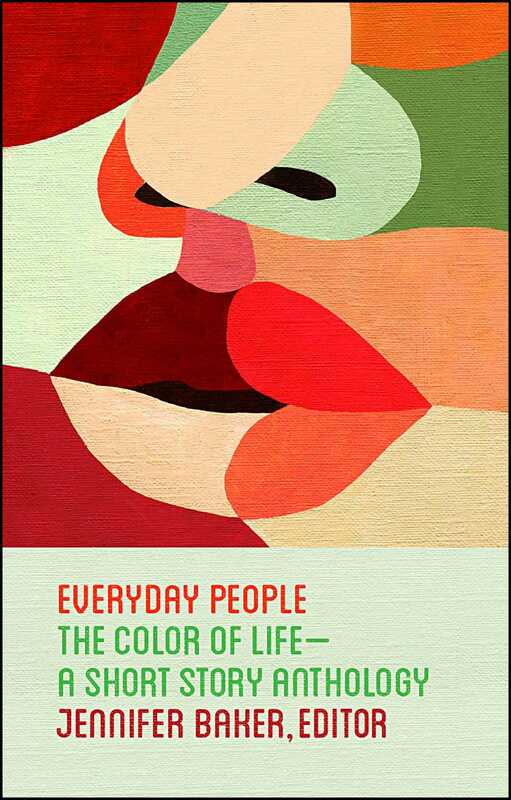 I’d like to think that Everyday People: The Color of Life—A Short Story Anthology will be that type of book over time. On shelves not only for reference but for pleasure, a book housing short fiction from an array of wonderful contemporary writers both established and emerging that speaks to experience, loss, fulfillment, and also being at that fork in the road where decisions must be made yet are not always pursued due to failings of moral fortitude. Each story will always speak to our humanity and the universality of who we are as People of Color/Indigenous People. I inherited this anthology after Brook passed away suddenly and Atria was gung ho about seeing it come to fruition. From there I solicited and corresponded with contributors during a very tense time (the 2016 US presidential election). I was heartened by how eagerly those I reached out to wanted to add their names and fiction in any way they could, or even offer a hand after the fact. In 2017, I found that reading their submissions reinvigorated me with the power of the written word when things seemed bleak. In addition, the versatility of our experiences as expressed in each story fortified me in new ways. These stories, mostly new and some republished, pack a punch in all their iterations, leaving me sated knowing that the world will have a chance to also engage with these characters and writers. From the political to the personal, from familial strife to geographical displacement, from heartbreak to ego checking, stories that gain inspiration from Langston Hughes’s Simple series (Jason Reynolds) to expounding on the depths of grief (Glendaliz Camacho), each contributor draws from a well of work that can be studied and should be savored. I hope that in this time when people seek to be more inclusive and representative in their writing and reading that Everyday People will be that compilation reached for and sought after for the bevy of short fiction that doesn’t relegate the authors or characters to their “status” as much as recognizes their skill. I want to extend a tremendous amount of thanks to every contributor (Courttia, Brandon, Alex, Nana, Allison, Mitch, Carleigh, Dennis, Yiyun, Mia, Nelly, Hasanthika, Jason, and Glendaliz) for sharing not only these stories with me but for the continuous work you do in your craft and your unyielding support of other writers in this industry so that we may see more PoC/Indigenous voices rise up. And thanks/blessings to Brook Stephenson, who is greatly missed. I’m confident we did you and your vision for Everyday People proud.